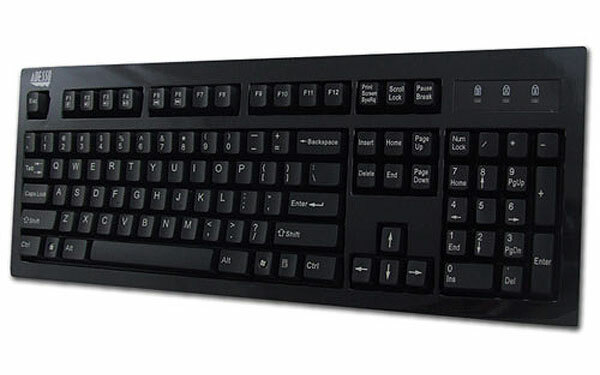 Adesso is well know for their wireless home user keyboards and home theater controller devices. Yet today they have released a mechanical MKB-135B keyboard that will surely be a hit with gamers looking for a responsive feel. In my opinion mechanical keyboards are the ultimate for PC gaming as they offer distinct tactile feedback. Giving the user a second notification of the input apart from the movement on the screen. The new Adesso MKB-135B is fitted with N-key rollover that allows you to press upto 6 keys at once, allowing for great gaming macro combinations. Its also fitted with 2 x USB 2.o ports and you can connect your headset directly to it via the audio and mic sockets on the side.